53 mins. 2 films are in Mandarin with English subtitles. 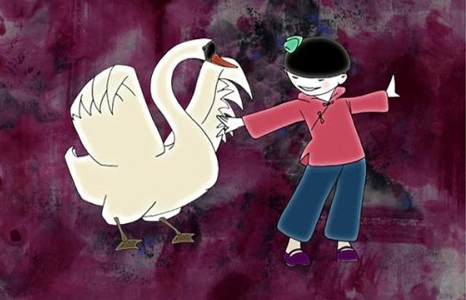 This round-up of contemporary animation from China, curated by acclaimed animator, teacher and artist Joe Chang, shines a spotlight on some of China’s best and brightest animators: Yueer’s Fantasy (Chen Min); The Lotus Pond (Tang Hongping); A Man and a Bird (Dawei Huang); A Crazy Night (Jiang Binhong); Home, in Memory (Xiao Yijun); The Summer (Mao Minnan); Mole Don’t Know (Li Lu); Father and Son (Joe Chang); A Long Distance Call (Joe Chang); The Chinese Violin (Joe Chang). Recommended for ages 7 & up.